Chicken thighs are the juiciest portions of a chicken and our chefs created this unique marinade that does them justice. It contains Knorr Chicken Seasoning and stands out due to the unique spice combination. 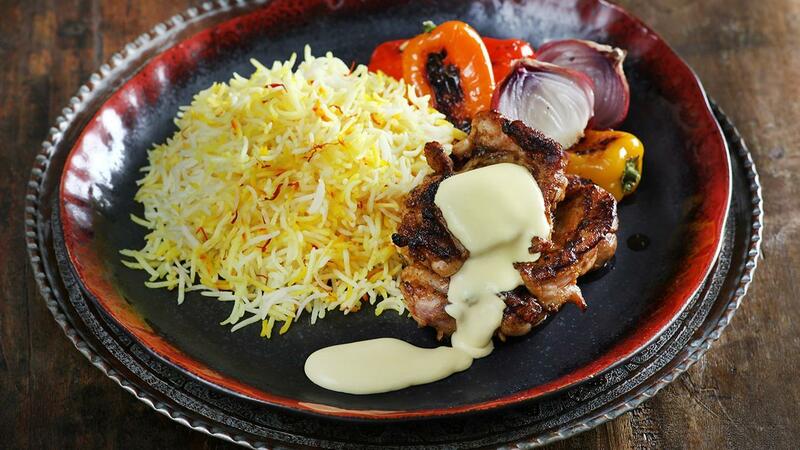 The saffron rice flavour is boosted with Knorr Chicken Seasoning served with creamy garlic sauce. Once ready grill the chicken on high flame with skin side down first. Wash and soak rice for 30min. Steam rice with water, saffron and Knorr Chicken Seasoning Powder. Slowly reduce the cream by 50% until golden yellow, add garlic,Astra Fat Spread and Knorr Lime Seasoning Powder. Grill baby peppers and onions with olive oil to serve with saffron rice and grilled chicken.